Here are some examples of typical E-scapes as you will receive them. 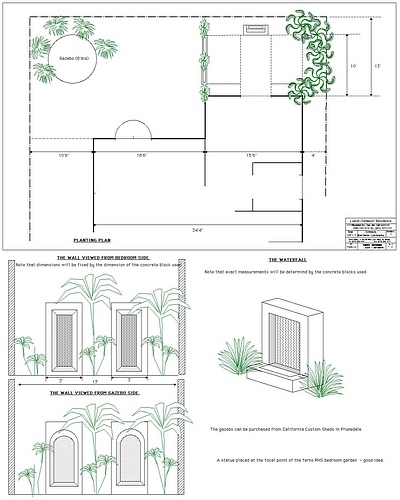 This page also shows a typical plant list, a hardware list and examples of an irrigation plan and a low voltage lighting plan. 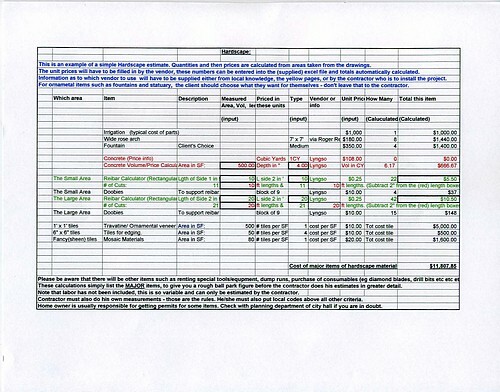 If applicable I will include a details sheet, detail sheets can also be seen here. On some computers the resolution of the 'thumbnails' on this page is not good - sometimes it is bearly readable! Just click on the "thumbnail" to increase the size of the picture to excellent resolution. 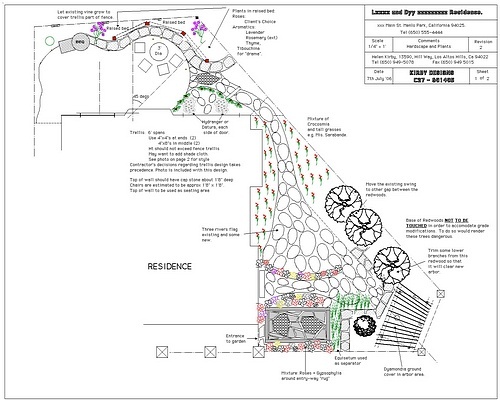 This is the planting plan.There is a plant list which accompanies this plan. 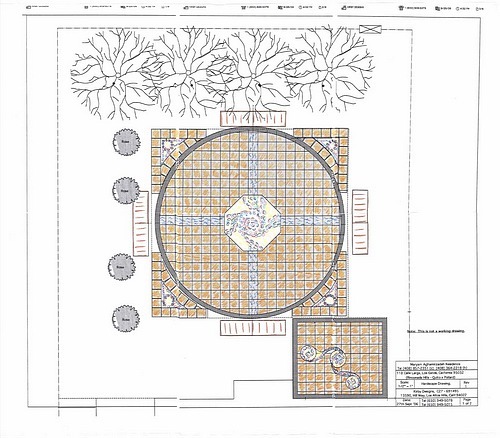 This is an irrigation plan. Click on the thumb-nail to see it in good resolution. 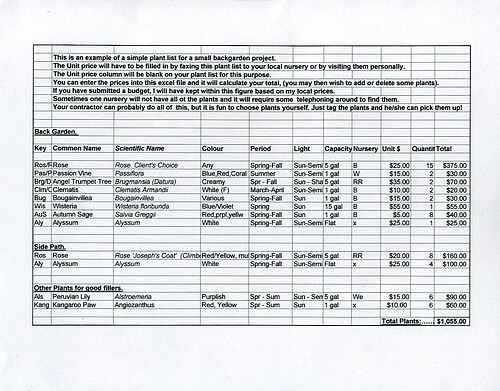 A parts list will also be provided whith each irrigation plan. The list will be e-mailed as an excel page. 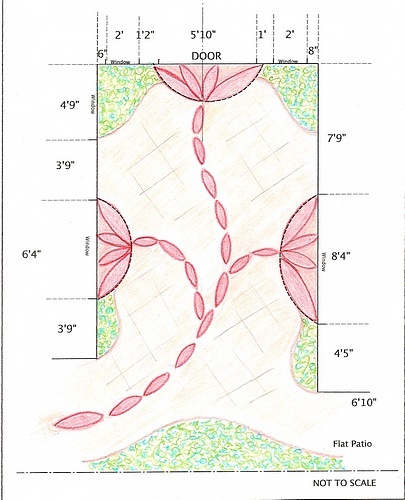 links back to the planting plan). materials estimate with such a list. excel pages so that you can modify it. Curved ornamental walls. Menlo Park. 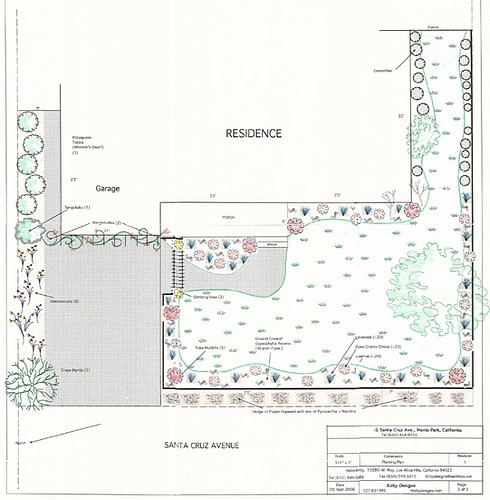 Back garden for a house in San Mateo. a collection of ornamental grasses. 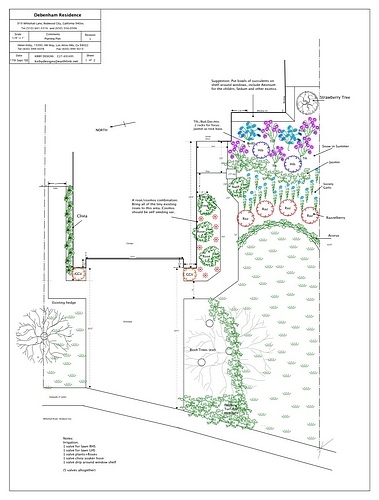 This is a colourful shady boarder in a heavily (oak) wooded area in Woodside. 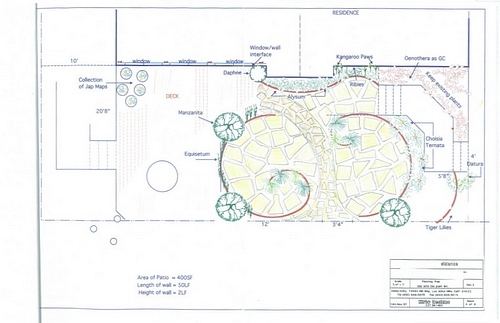 This is the hardscape plan for the adjacent planting plan. 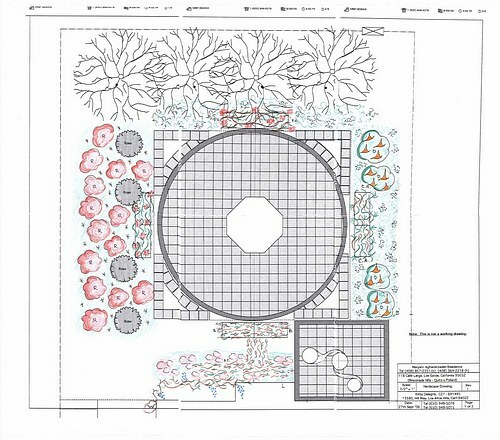 There is a hardscape list which accompanies this plan. 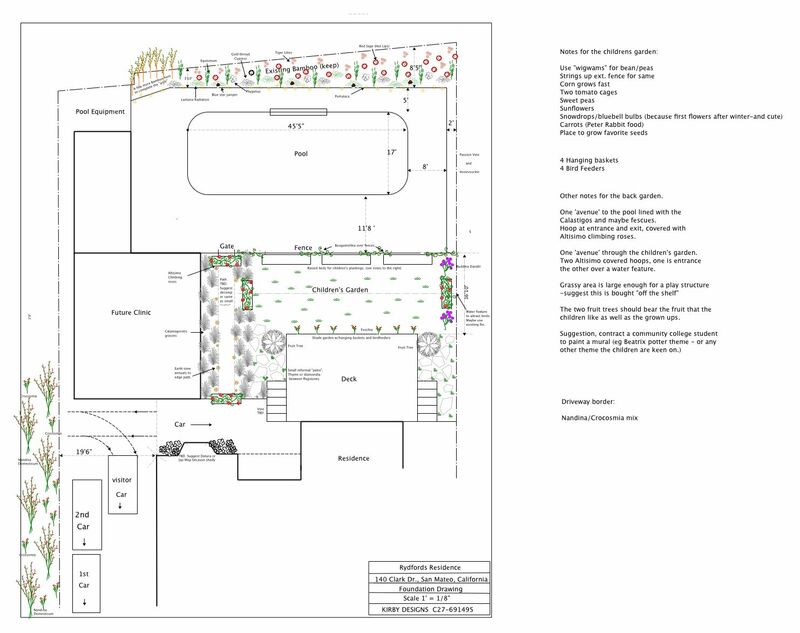 This is a low voltage lighting plan. Circuits are color coded for clarity. Click for good resolution. A parts list will be e-mailed in an excel file. The price of low voltage lights is very variable, I will check with you to see if you want the perfectly good Home Depot variety, or the much more expensive ones. from measurements on the drawing. Drawing with details of fences and gates. Rose Garden in Menlo Park. A travertine patio with pink mosaic flower steps. Menlo Park.